Soul singer Adele interrupted her emotional Grammys tribute to the late George Michael after her performance slipped off the rails. 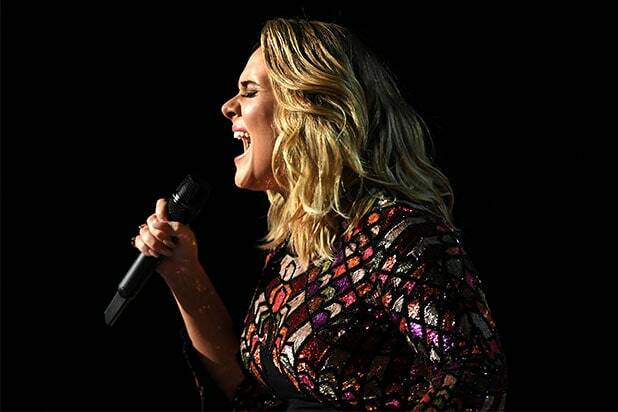 Struggling from the first few notes of a rearranged version of Michael’s “Fast Love,” Adele quit as she approached the first chorus in a stream of curses on the live CBS broadcast. She apologized to producers for stopping, and for cursing, saying to the orchestra behind her, “I can’t f— this up for him” — referring to Michael. The famous crowd supported her choice, with stars like Jennifer Lopez, John Legend and Chrissy Teigen cheering as she asked to start over. The second attempt went much better, as a montage of Michael’s music videos was displayed behind her. Turns out, Adele predicted this — she has previously said she would stop any performance she didn’t like, in her own shows or in a live spectacle like the Grammys. This is not Adele’s first run-in with Grammy tech issues. Last year, microphones set up inside a grand piano fell on the instruments chords, causing major difficulties for her live number. She laughed off the flub in various interviews.